If your PC consistently freezes or crashes and you're not sure if it's in need of computer repair, one of the best things you can do is to restart it in safe mode. Safe mode is a setting that will basically keep your computer functioning in a very limited state (for example, CDs, video and audio inputs and other external devices usually don't work in this mode). Doing so can help you to diagnose the cause of the problem, because if the system is operating normally while in safe mode, this tells you the issue is unrelated to your basic drivers or default settings, and is probably stemming from a program or external device that you installed recently. 1. Make sure that all external devices are removed, such as CDs, DVDs, external hard drives and headphones. 2. Restart your computer. As it begins to restart, hold down the F8 key. Note: make sure that you are already holding F8 before the Windows logo appears on the screen – otherwise, you'll have to restart it again. 3. An Advanced Boot Options window will pop up on your screen, allowing you to select the type of safe mode you want. Basic "safe mode" might not let you access the internet, so you can also select the option "safe mode with networking," too. 4. If your computer requires a log in, make sure you are logging in with the administrator account. The words "safe mode" should appear at the corners of the screen. 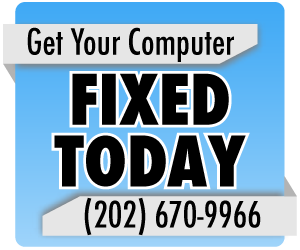 If your computer is still crashing or prompting you with an error message while in safe mode, you might want to contact your local Virginia computer repair center for further troubleshooting advice.